SAN FRANCISCO & BERLIN--(BUSINESS WIRE)--SmartRecruiters Inc., the leading provider of recruiting solutions, today announced the acquisition of Berlin startup Jobspotting GmbH. Active in 10 countries, Jobspotting is a recommendation engine driven by big data and artificial intelligence. To date, it has matched three million users with relevant jobs. SmartRecruiters was founded in 2010 with the mission to help organizations succeed through great hires. The company has 700+ customers and offices across Europe and North America. Investors include Mayfield, Salesforce Ventures and Insight Venture Partners. Its latest investment round was $30M in June 2016 by Insight Venture Partners. SmartRecruiters’ Talent Acquisition Suite is used by high-performance organizations for hiring the best candidates. It has full functionality for recruitment marketing and collaborative hiring built on a modern cloud platform with an open marketplace for third-party recruitment services. Unlike the first-generation applicant tracking systems it replaces, SmartRecruiters provides an amazing candidate experience. Companies like Visa, Skechers, Atlassian, Equinox, and Alcoa use SmartRecruiters to make recruiting a competitive advantage. Jobspotting is a data-driven job board that matches users with relevant career opportunities. Using data science and machine learning, it offers recommendations based on personal preferences and improves over time through user feedback. 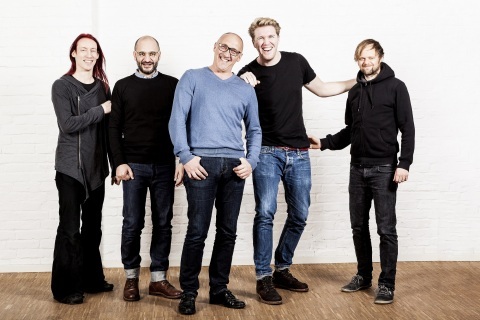 Based in Berlin, the company was founded in 2013 by Hessam Lavi, Jan Backes, Manuel Holtz and Robin Haak. The founding team has many years of experience with Google, Axel Springer and other startups.